The development of deep geothermal energy may be at risk from the economic point of view if the estimated deep thermal field is far from its real state. The strong heterogeneity of geological units makes it challenging to perform a reliable estimation on the construction of the deep thermal field over a large region. Additionally, the thermal properties of rocks, such as thermal conductivity and the radiogenic element concentration, whether they are from laboratory measurements or inversed from well logs, may strongly control the deep thermal field at a local scale. 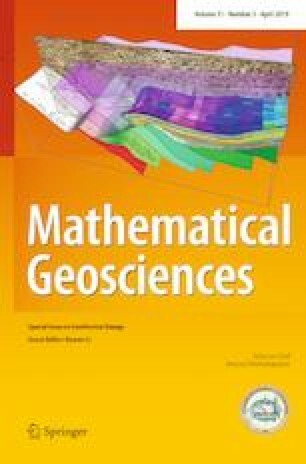 In this paper, the thermal conductivities of rocks from the Trois-Rivières region in the Saint Lawrence Lowlands sedimentary basin in eastern Canada are obtained from two methods: (i) direct experimental measurement and (ii) indirect inversion method using well logs, including gamma ray, neutron porosity, density, and photoelectric absorption factor. The spatial distribution of subsurface temperature in the study area in the Trois-Rivières region is numerically investigated by considering four case studies that include different values (minimum, average, and maximum) of the thermal properties by applying the Underworld simulator. The results show that thermal properties play a large role in controlling the subsurface temperature distribution and heat flux. The temperature difference can reach 15 °C in the basement, caused by the difference in thermal properties in the Trois-Rivières region. The highest heat flux is found in the Trenton–Black River–Chazy groups, and the lowest heat flux is in the Potsdam group, which also has the highest thermal conductivity. Vertical heat flux does not change linearly with depth but is highly related to the thermal properties of specific geological formations. Furthermore, it does not have a positive correlation with the vertical temperature changes. This demonstrates that the assessment of the potential of deep geothermal energy depending merely on the surface heat flux may greatly overestimate or underestimate the geothermal capacity. Construction of the thermal models based on the integrated thermal properties from both the experimental measurement and well logs in this paper is useful in reducing the exploration risk associated with the utilization of deep geothermal energy. The authors acknowledge the support of the Natural Sciences and Engineering Research Council of Canada and IREQ/Hydro-Québec, the CAS Pioneer Hundred Talents Program in China and NSFC (no. 51809259). We are extremely grateful to Bernard Giroux and Karine Bédard at INRS-ETE for their great help in the guidance of the construction of the 3D geological model and the numerical simulation. We would also like to thank Steven Quenette and John Mansour for their guidance in using the Underworld software.